Outdoor weddings can be a very special and enchanting affair. 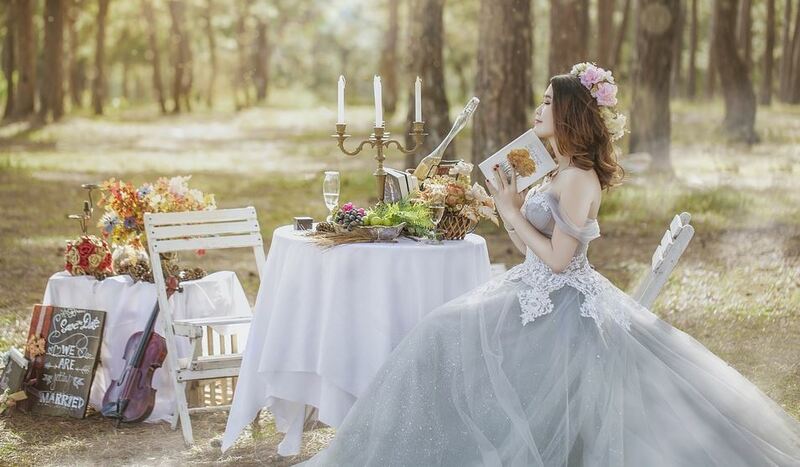 There are some important factors to be considered while planning for a romantic outdoor wedding. Whether it is a beach, campsite, vineyard, lawn, beautiful garden, or your own spacious backyard, you need to plan for each of these in a different manner to make the place cosy and inviting. From the lighting to the loo, each and every detail has to be meticulous. Here are some great tips for planning a perfect outdoor wedding. It would be great to pitch a tent for your outdoor wedding. A tent is a great idea for large gardens and parks too. They come in various styles, materials, and sizes. Pick the one which goes along with your choice of space. Select lighting options for the tents as per the natural surroundings to enhance its appeal. Enhance the natural setting by choosing décor which goes well with the outdoor space. Lounge furniture, pillows, coloured linen, vibrant lighting and other things can add charm to a garden of blooming roses and lush greenery. Fabric drapes can be used to create partitions in tents if required. Decorate the tent and furniture with fresh flowers and various ornate light objects and liven the space up. Add a personal touch to the venue with these small design elements. You can rent out a lot of these things as per your budget. Lighting plays a very important role in an outdoor event and helps to create the perfect glowing atmosphere for the wedding. Optimal lighting can transform a place magically. The lighting needs are different for night time, evening and daytime. It even helps to demarcate spaces. Currently, there are many fantastic ideas in the market for outdoor lighting of weddings and parties. You can pick the lighting option based on the theme of the party. You can set the mood with garden-friendly antique lanterns, paper lanterns, solar lanterns, rustic lanterns, chandeliers, string lights, twinkling lights, decorated mason jars with tea lights, LED candles, scented candles, floral light projections, light canopy, light bundles, lamps, light columns, etc. It’s a beautiful idea to illuminate trees and plants in the garden. Take the help of professionals for your lighting needs and associated accessories to avoid any glitches. Along with the lighting, flowers, and foliage, you can create a perfect ambience with music, dance, interesting games, and shows. Keep the guests relaxed and entertained throughout. If there is a pool, then it can be decorated with light columns and fixtures. An outdoor wedding menu should be a seasonal affair. It can be adventurous with barbeques and roasts. Keep separate area for preparing the food and cooking in outdoor spaces. Refreshing non-alcoholic drinks are a good option if it’s hot and dry. It would be ideal to arrange the dining area with smaller tables to create a more intimate atmosphere for the guests. It is important to have a good strategy to keep the guests comfortable as per the current season. It’s best to avoid the hurricane season for beach weddings and outdoor weddings in general. In very breezy locations, extra care should be taken to secure your décor, furniture, centrepieces, and items like tables, chairs, and other catering equipment. Give adequate shelter from rains. It’s essential to provide ample shade on the hot days. On the cold days, there can be heaters, bonfires, and you can even provide blankets, scarves, and shawls. If there is grass, then make sure to provide plastic heel protectors to prevent shoes from sinking into the soil. Make certain to ensure that there are no bugs to trouble your guests by taking sufficient pest control measures prior to the event. Even during the event, there are some lighting options which will attract insects and keep them away from the main guest area. There are many other natural ways by which you can keep away the bugs like scented candles or torches with citronella or lemon grass oil. Springs of lavender, mint, rosemary, and thyme are also natural and practical bug repellents which are great for garden venues. Guests should be able to easily find their way around from altar to dinner tables and dance floor to washrooms. Have the necessary signage and placards for guiding them properly through various events and sections. Illuminate the walkways and signage properly with luminaries, antique lanterns, and other lights to create a glowing path. Make sure you have adequate power backup in the form of generators for keeping the party going smoothly in case of power outages. Along with indoor or tent restrooms, you can also install rented luxury portable restrooms. These can be customized with air conditioning or heaters as per the season to offer maximum comfort. Keep in mind to provide guests with other basic essentials like soaps, tissues, etc. The wedding market is booming- and don’t we just know it! We seem to have options in abundance. Want your reception venue in a rustic barn? No problem! In a train carriage with disco lights? Let’s do it! Featuring some fire breathing acrobats? Take your pick! 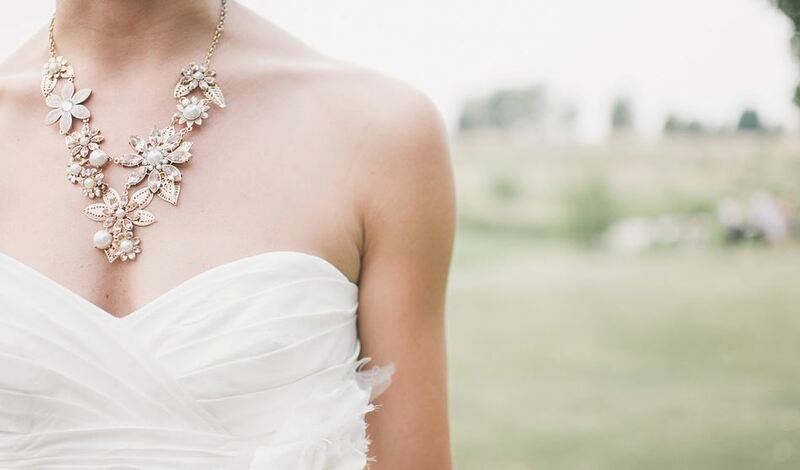 Something often overlooked, but integral to give your wedding photos that professional edge! If you want to look fabulous in every frame, then you’ll want to get this one right. The lighting of a venue will also really set the mood for your evening. Think ambient light to set a relaxed tone- ready for a night of partying! If your venue doesn’t have great natural light then you can call in the ‘big boys’ and a professional lighting crew will zip right over and do all of the hard work for you. Here’s to picture-perfect skin! Hopefully at this point you’ve figured out who your friends are… and which of those lucky people are invited to your celebrate your big day. The size of your guest list defines which of your potential venues are actually viable. If your budget looks set to burst, then decreasing the size of your guest-list is the number 1 way to cut costs quickly. Of course, on the other hand, dreaded last minute drop-outs can and do happen. Try to think practically, even if it’s thrown off your seating plan. If possible, speak to the venue and try to recoup the pay-per-head cost of their meal. You could convert it into extra money behind the bar, or maybe you can negotiate an extra appetizer in exchange. Mother nature is one mistress you don’t want to mess with. 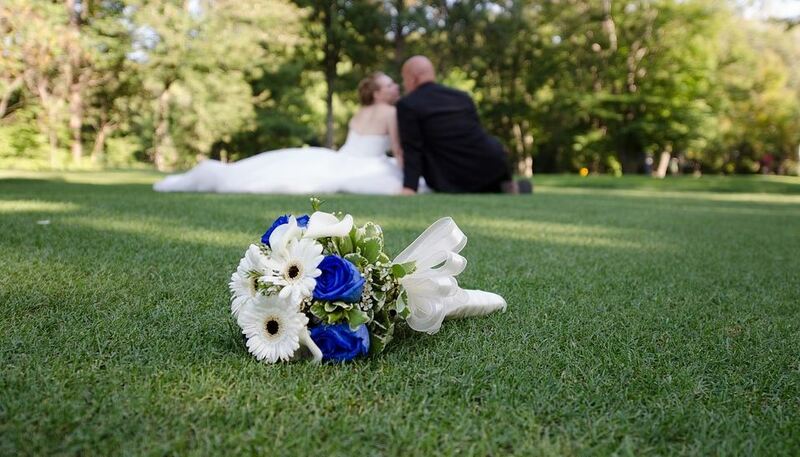 Depending on the season, the weather may throw more some more considerations into the mix when booking you big day. Will your wedding marquee provide adequate ventilation for your summer soiree? Guests have been known to take an early leave from a stuffy summer wedding that’s poorly ventilated and swamped with bugs. Consider whether that beautiful high-ceilinged Victorian hall that you booked will hold in the heat to ensure a perfect winter wedding. Try this: here’s a deciding factor, stand at the entrance to your potential venue and visualise your day. Does your theme fit in with its canvas? Can you see yourself smiling here, amongst a backdrop of fairy lights and surrounded by family and friends? Planning a wedding is a very practical thing, but after all is said and done, sometimes you just have to wait for a venue that resonates with you. Feel that spark! Use our list to guide you and go check out some venues! In today’s culture of perfect instagram pictures and pinterest boards, there is more pressure than ever to have a big, blow-out, ballroom wedding. However, for those of us with tighter budgets and smaller venues there are many tricks you can use to keep costs down and still get a wedding album to be proud of. Be strict with your guest list. You don’t need to invite your second-cousin-three-times-removed. If you haven’t seen someone in the last 2 years, you wouldn’t invite them into your home, especially if you don’t even exchange Christmas cards, they don’t make the cut. You’re paying for their meals and drinks too – is this something you’d be willing to do any other day of the year? The numbers add up quickly. Consider what day you have your wedding on. Sure, everyone wants to get married on a Saturday, but at least ask about Friday/Sunday, possibly even mid week! There are hefty discounts to be found. Not everyone works Mon-Fri in this 24 hour world anymore, and if someone wants to be there they will make it work. The right decoration can take a venue from 0-100 instantly. Professionally placed lighting can make a room look bigger, more expensive and can transform a dingy reception room to a castle fit for your fairy tale. You can personalize your big day and direct the focus of your guests exactly where you want it. Big dancer? Light up the dance floor. If you’re a big food fan you can draw all the focus to the tables. From centerpieces to feature walls, the right lighting and decoration will be talked about for years to come, as well as proving the perfect backdrop for photographs with all of your nearest and dearest. Let’s face it, who doesn’t love fairy lights? From your dress to your cake to your venue, call up competitors and compare quotes. Make sure you are getting the best deal! Adding the word “wedding” to anything allows retailers to hike up the prices, so make sure you’re not being overcharged by one retailer when another would offer you a much fairer price! There are plenty of ways to make your wedding work the way you want it to, while still leaving a few pennies left for the honeymoon. With a little bit of research and prioritization, you can recreate your dream wedding without breaking the bank. You should make everything your own. From the flowers to the lighting, try to make the choice personal. Understanding the setting of the wedding venue is important for any luxurious wedding planner. You should be able to relate to the setting. For example, it’s vital to make the photo spots appealing at a personal level. To effectively achieve this, it’s vital to learn a few things about the bride and groom. This will help you create a personal theme that matches with their taste but still keeps the glamourous touch. The experience that the guests get to have determines if the wedding is luxurious or just ordinary. You should prioritise on having the guests entertained throughout the wedding event. To achieve this, you should put yourself in the guest shoes and think of what they like and what they expect from the wedding. This will help you decide on the right catering service, lighting, choice of music, and reception. 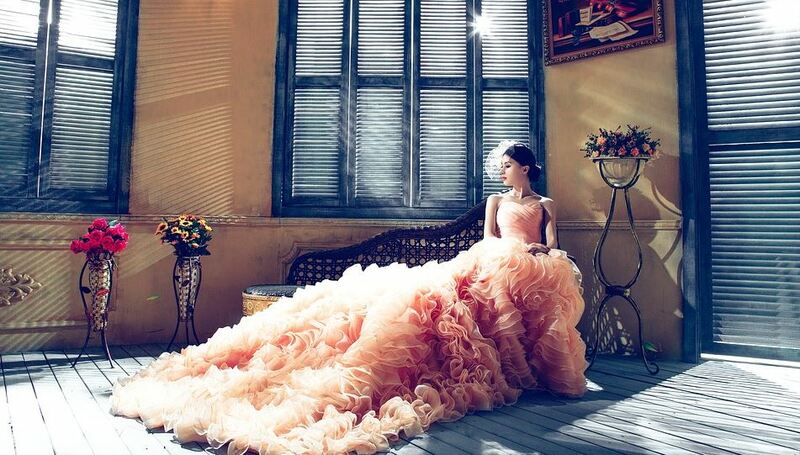 In a luxurious wedding, the guest should be treated to fabulous sight, smell, and sound. A wedding is a big event, and it’s vital to take it as a big production. You should put into place beautiful scented candles stationed glamourously and delicious menu with a feast. Basically, your choice of light, entertainment, and food should have a feast touch. You can lend professional light system to make the wedding appear fabulous through optimal and magnificent lighting. In luxurious wedding venues, there is nothing less important or more important than the other. For example, you cannot give more attention to catering and neglect the reception. Neither can you give the attention to the flowers and neglect the lighting accessories. In deciding on the budget, it’s vital to factor in all the details of the wedding venue so as to maintain the luxurious status in all aspects of the event. Generally, luxurious wedding venues are not dictated by money alone. There are things that you can employ in the wedding that money can’t buy. For instance, you cannot buy the right atmosphere. It’s vital that the bride, groom and the guests feel a luxurious experience from the setting based on preparation, entertainment, and lighting.